One of my most wanted pieces - absolutely soul touching music..
An amazing release from Leonid. This man has amazing talent & is a great addition to a superb label. 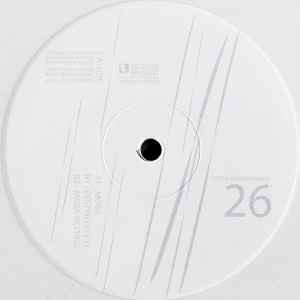 The tracks to me hark back to a golden age of Techno & Deep House, perhaps this is the point of it, but one thing is for sure is that Leonid evokes strong feelings on this EP. The seminal 'Mora Resting' is the example in this statement. Now, here is a lesson in how to make astounding emotional electronica, melancholic & captivating. A real heartbreaker. My favourite on the EP by far. Feel this. 'Resting II' reminds me of great deep house of old like Chez Damier for example. Catchy rhythmic beats & the underlying emotional chord throughout make this a winner. All good & keep it up Leonid. Respect!